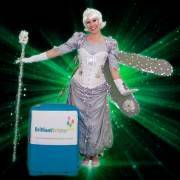 Enchant your guests at your special event with one of our whimsical Silver Fairy childrens themed party entertainers! 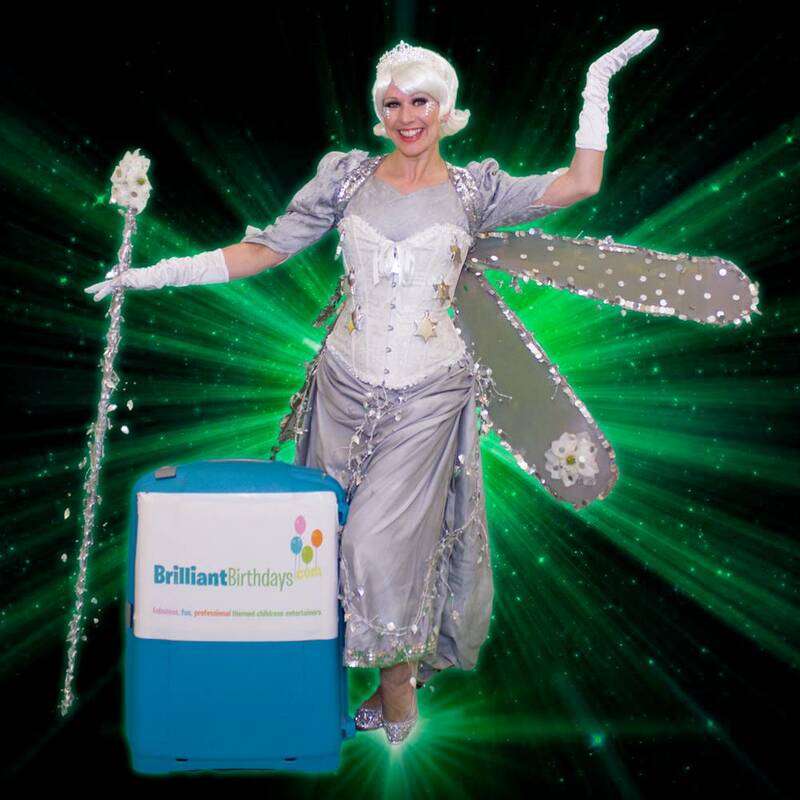 One of our experienced team from our Childrens Entertainers London will flutter in and sprinkle enough fairy dust to banish all the stress from your special day! Up to a maximum of 30 boys and girls will enjoy an entrancing 1, 2, or 3 hour party with one of our Silver Fairy childrens themed party entertainers! They’ll be gaining magic points by collecting the colourful fairy dust balls, spinning through the bubbles, and floating on air with a wonderful Parachute game finale! If your Silver Fairy childrens themed party entertainment, that will contain a varied range of activities depending on your party length, will be happening within the M25, our Childrens Entertainers London are very pleased to say that there will be zero travel charge! 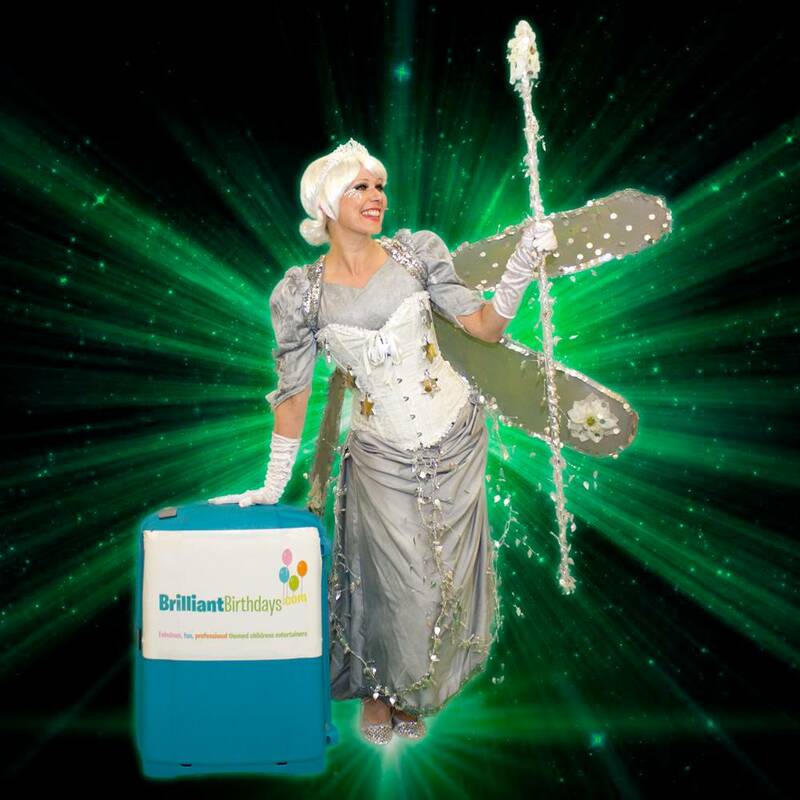 If one of our Silver Fairy kids party entertainers will be flying for a slightly longer distance to your party outside the M25, there will just be a small travel fee of 40p per mile, from and back to the M25! So what are you waiting for? 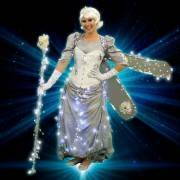 Your spectacular Silver Fairy childrens themed party entertainment awaits! 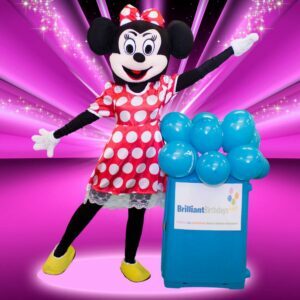 Your party will most certainly be taking flight when you book our sparkling Childrens Entertainers London for your special day! 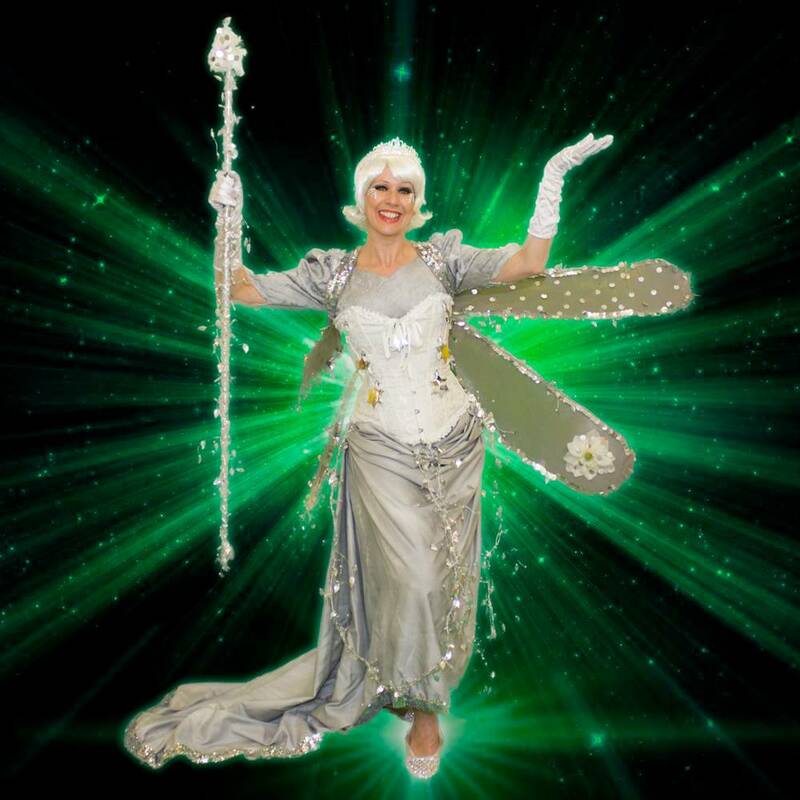 Fabulous Fairy Entertainment my daughter absolutely loved the silver Fairy! Thanks so much for a magical party! Excellent entertainer as a Silver Fairy! Children were engaged the whole time time ! Thank You!!! A very happy party with a very happy B-day girl! Would highly recommend Brilliant Birthdays and will use again in the future! 10 out of 10! Parents loved it too ! Thanks Claire for a fantastic party for my daughter’s 5th birthday! Everything was perfect for children! It was great to see them entertained ! 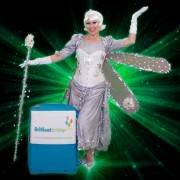 The girls loved Silver Fairy ! Thanks as well for the balloons on sticks – something fun for the children to take home! 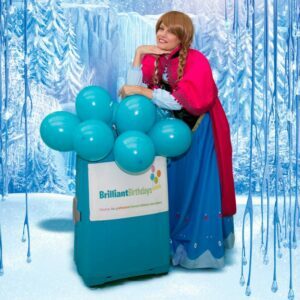 We would definitely recommend Brilliant Birthdays for children parties! We hired a silver fairy as my daughter is totally obsessed with Fairies in general! The entertainer looked so amazing! 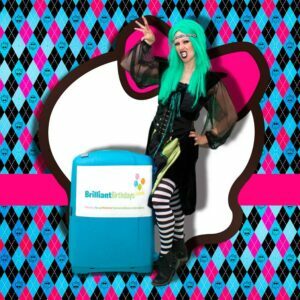 Her costume actually lit up and the children really loved all the games! 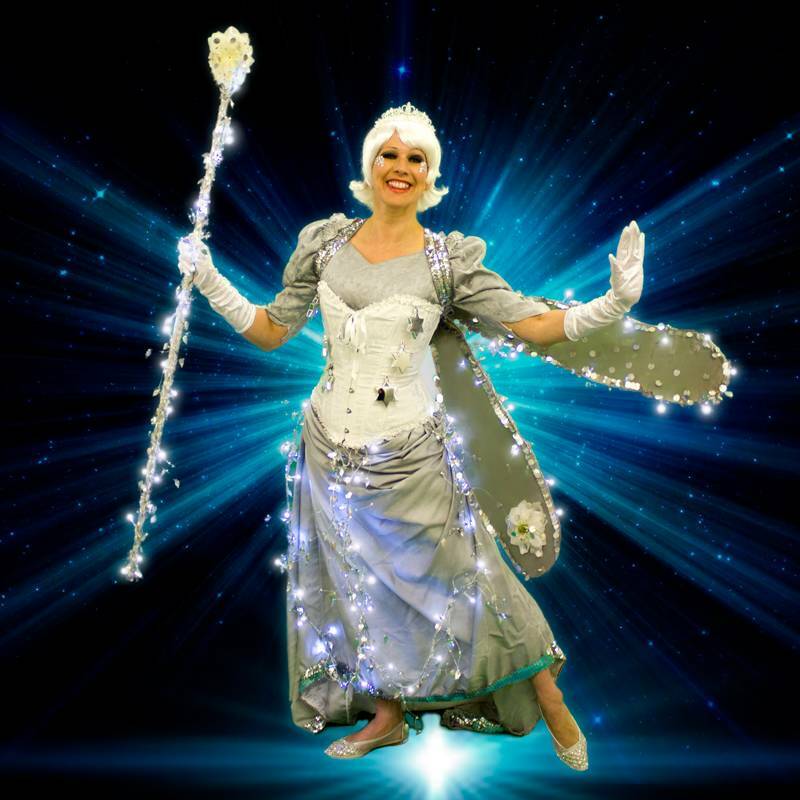 Especially all the dancing and the Silver Glitter “Fairy Dust” tattoos! I will be booking again next year! Thank You! Fabulous Party! Thank You for making my daughters big day so special! Thank you for the Silver Fairy coming to our garden! She made a wonderful party for the little ones! Brilliant Job Brilliant Birthdays! 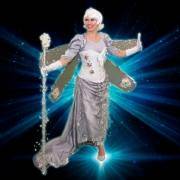 We booked Silver Fairy for our son’s christening party! 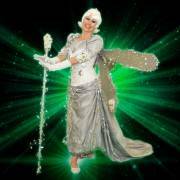 Beautiful costume and lovely entertainment! Thank you! 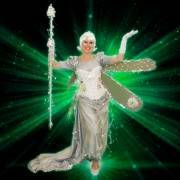 Attended a party where silver fairy was in attendance – she was fantastic & had the little ones entertained the whole time. Highly recommend Brilliant Birthdays!